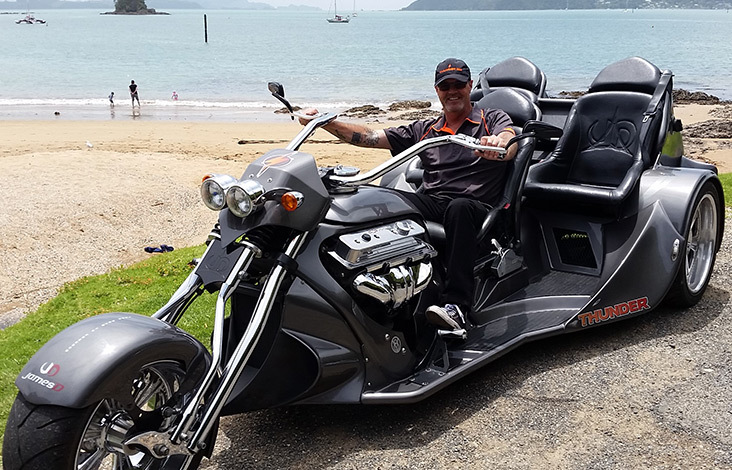 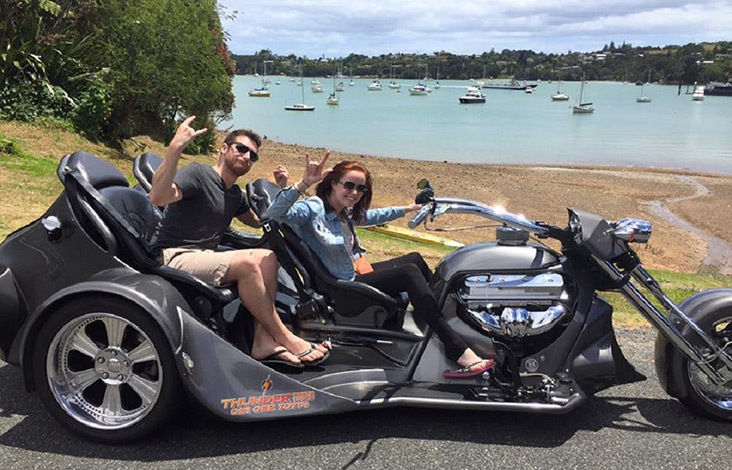 Have awesome thrills on a 350 V8 Chev Trike on a 30-minute or 60 minute tour from Paihia. 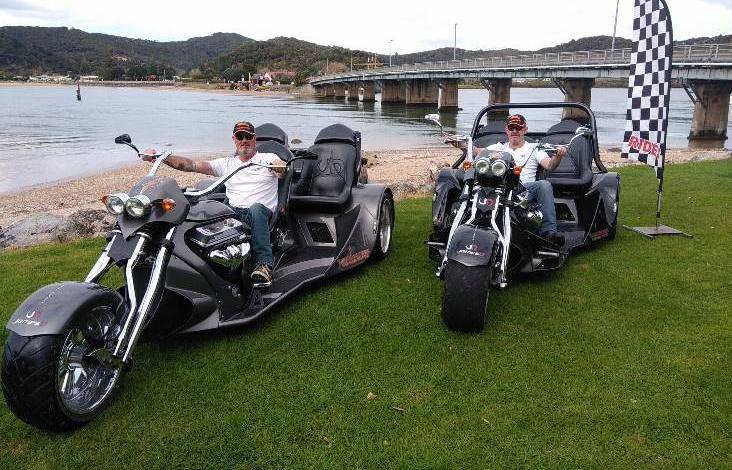 With Thunder Trike Tours, you’ll enjoy the scenic Bay of Islands whilst having the time of your life. 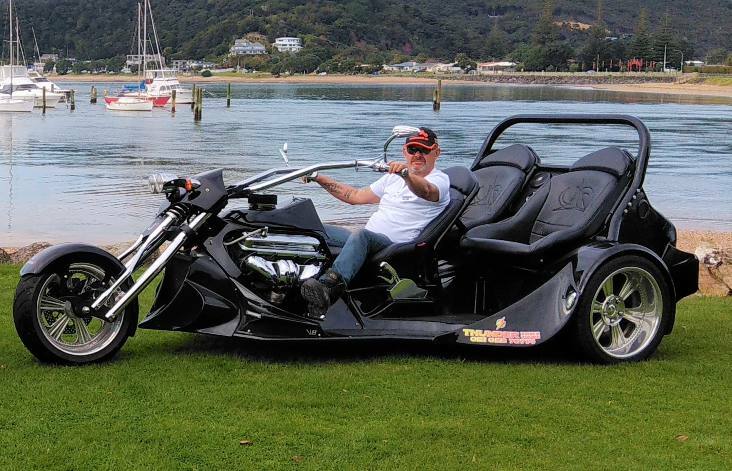 A definite bucket list experience. 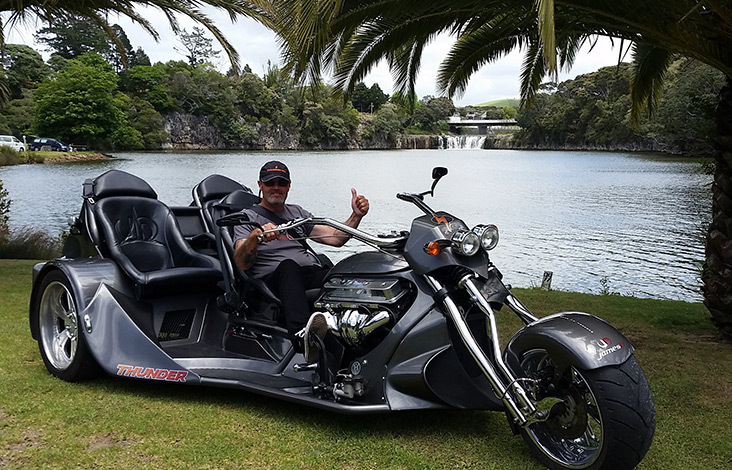 Choose from 3 different routes including Haruru Falls and Waitangi, Opua or a 60-minute combination of them all. 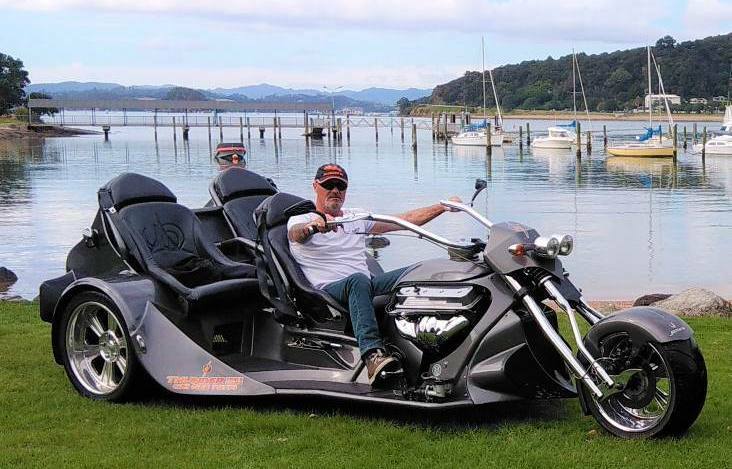 This tour is for a minimum of 2 people and is open to all ages from 5 years to 95 years.